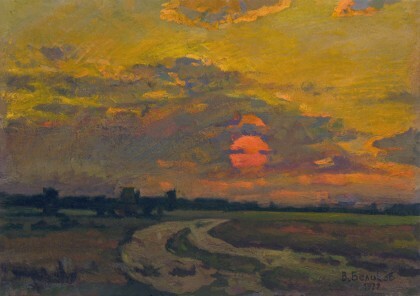 Original oil painting. Landscape in impressionistic style. Signed by the author. Born in Svishchevka, Tambov Province, Russia in 1922. 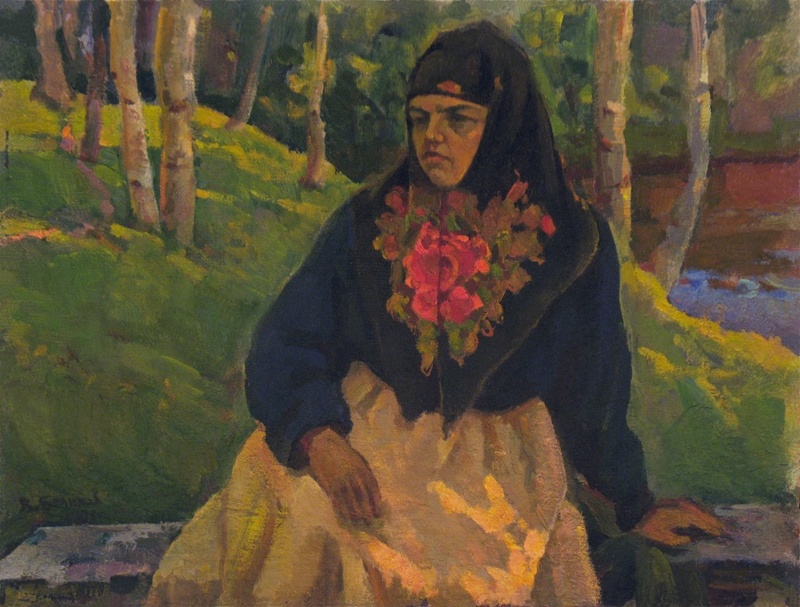 Studied at the Astrakhan Art School between 1938 and 1941. Served in the armed forces as a sailor between 1941 and 1947, participating in the Second World War. After leaving the navy he continued his studies at the Penza Art School between 1947 and 1950. 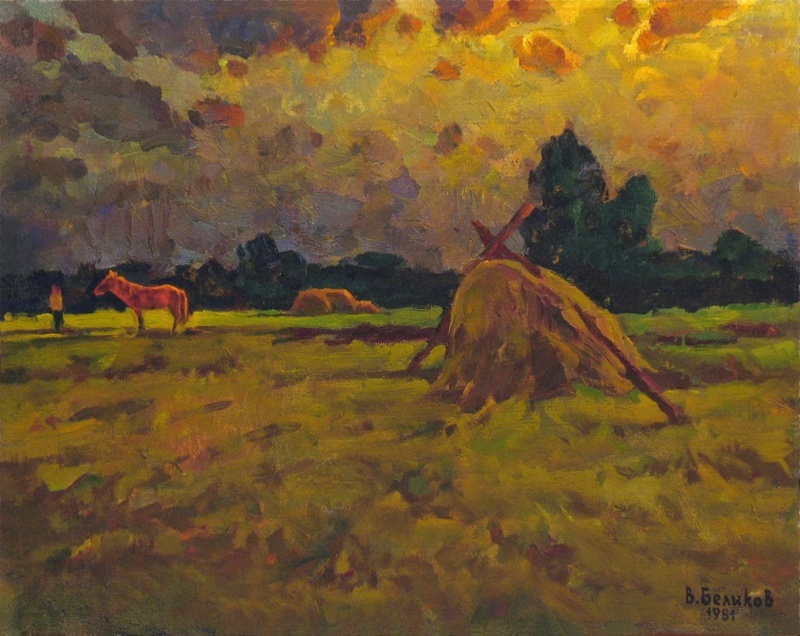 Upon finishing art school he worked for the Penza branch of the Art Fund of Russia during which time he became their director. At the age of 40 he fell ill with tuberculosis, struggled against the illness for several years and eventually overcame it. Since when he devoted himself to creativity through his art. 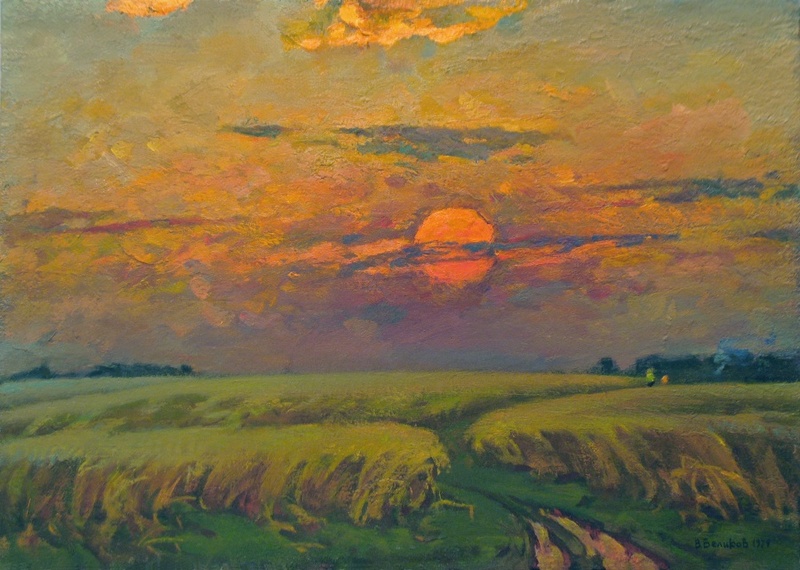 He regularly attended summer residencies for creative art (Academicheskaya) where he became acquainted with many of the leading artists of the country. 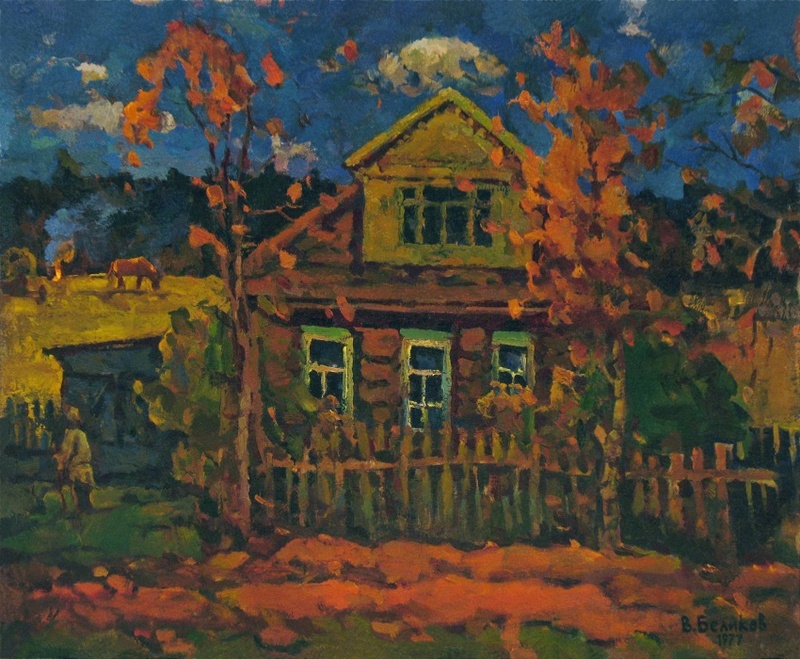 In 1975 he was accepted into the USSR Union of Artists. 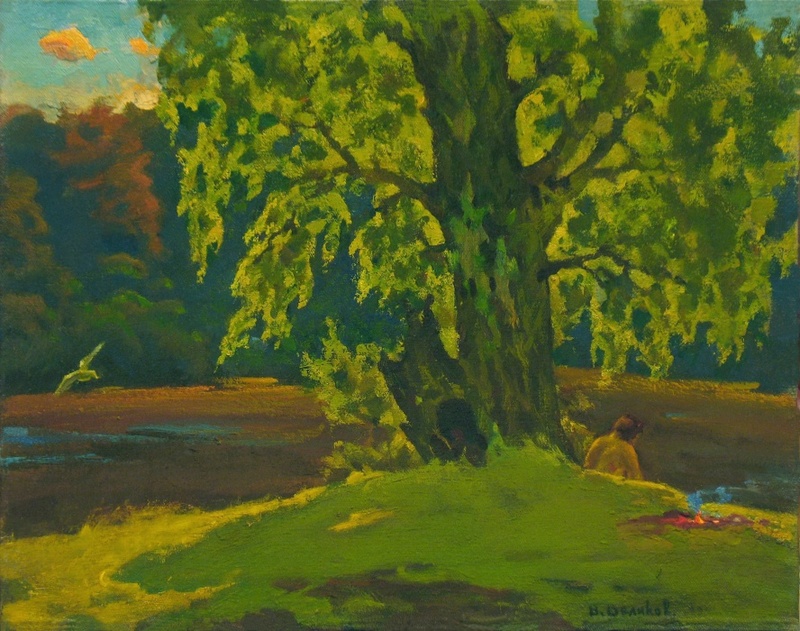 His main creative expression was in landscapes and to a lesser degree, still life and portraits. The artist is listed in ?A Dictionary of Twentieth Century Russian and Soviet Painters? and also inthe ?World Biographical Dictionary of Artists? (Saur Verlag GmbH & Co, Redaktion AKL, Leipzig, Germany; Volume 8). V.Belikov has the 4-th cathegory in the ?United Artist Rating?.